To evaluate the relationship between spiritual experience and hysterical experiences in Buddhist participants in ethnic groups in China, this cross-sectional study recruited 39 participants aged 16–57 years old, and self-administered surveys were administered in two villages, one city and one town by four research assistants in the Inner Mongolia and Qinhai areas. Binary logistic regression analyses were used to evaluate the factors associated with somatoform dissociation symptoms. Surveys were completed by 639 participants (mean age 31 years; 54.6% females) in 2017. Binary regression models showed that diverging from tradition and having a college education or above were associated with suffering from somatoform dissociation symptoms. By contrast, participants with higher experiences and older people were less likely to experience somatoform dissociation symptoms. 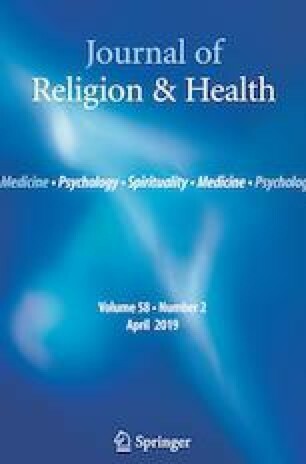 Our current research highlights the contribution of spiritual experiences and traditional values to reducing somatization dissociation symptoms, and the findings could help to promote a new relationship between psychiatry and spiritual experiences that will benefit both mental health professionals and those who seek their assistance. All authors contributed to the study conception and design. The first author, Zhengjia REN, wrote the first draft of the article. All authors contributed to the subsequent revision of the article and approved the final manuscript for publication. This study was funded by the Travis Research Institute. The second author has received a grant from the John Templeton Foundation to study the conditions that determine how Americans visualize Jesus. The other researchers declare that they have no other conflict of interest. The study was approved by the First Hospital affiliated with AMU in China. All procedures performed in studies involving human participants were in accordance with the ethical standards of the institutional and/or national research committee and with the 1964 Helsinki declaration and its later amendments or comparable ethical standards. Informed consent was obtained from all individual participants included in the study. The confidentiality and privacy of interviewees were maintained. All participants were notified before the research that they could withdraw from the research at any time.